Charging wolf, no place to run, no big deal. I realized there is no easy way to draw chains. For the next few pages I'll be strategically placing most of it off panel. Fighting time. Let's see what these guys are made of! Hope they got a juicy t-bone steak to throw at Fenri. Chaught up! You guys make a fantastic comic, can't wait to see more! Awesome! Thanks so much for the compliment and taking the time to read through it. Glad you like. I feel your pain on the chains, but you did really well. 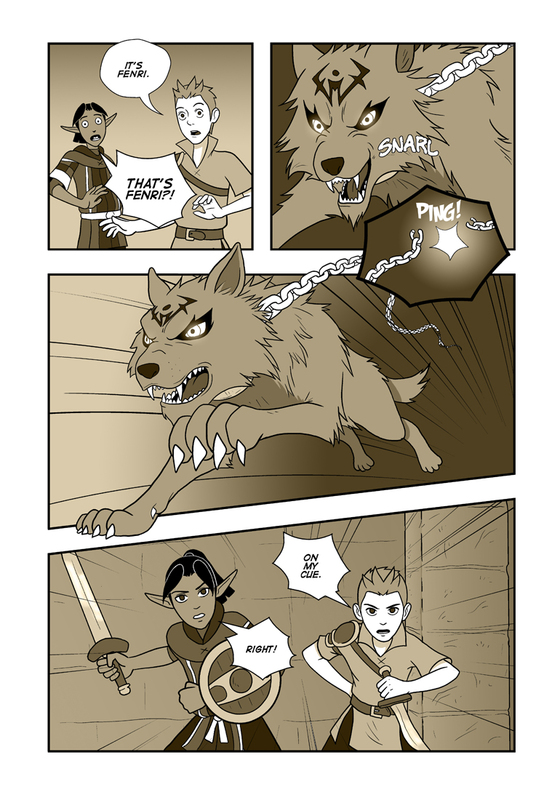 I love that panel with the wolf rushing them; nice forshortening there.